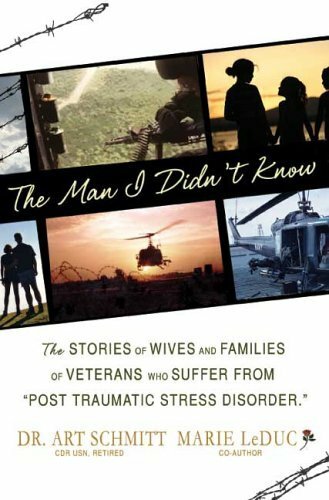 The stories of wives and families of veterans who suffer from Post Traumatic Stress Disorder. Dr. Art Schmitt was born in Brooklyn, NY. During the Vietnam War he served with Helicopter Attack (Light) Squadron Three. He was Officer in Charge (OINC) of a Seawolf Detachment at Sea Float/Solid Anchor on the Cau Mau Peninsula in 1970. Art served his country as a Naval Aviator for 21 years during which time he received The Distinguished Flying Cross, a Bronze Star, 21 Air Medals, 2 single action air medals, Presidential Unit Citation, Vietnamese Cross of Gallantry, and a Vietnamese air medal. Art received his Ph.D. from U.S.I.U. in San Diego, CA in 1976. In 1978 he was listed in Who’s Who in the West for inventing an alcoholism education game, “Beat The Drinking Game.” He was a registered psychologist in California and Florida and licensed Marriage Family Therapist in Georgia, Kentucky and Oregon. Art is a certified flight instructor to the NASA Space Program. He is also certified to teach courses in counseling psychology, organizational development, military science, health and physical care services. Art is a psychologist, lecturer, teacher, author, consultant, and has a commercial pilot’s license. He has worked in the corporate environment as a Vice President of Human Resources. In 1988 he established his own business, Business Team Builders, a Human Resources Management Consulting firm. One of his current contracts is with the Social Security Disability Administration where he acts as an Expert Witness. Art is married and he and his wife currently reside in Charleston, SC. Marie LeDuc is the wife of a former HA(L)-3 Seawolf door gunner who suffers from PTSD. Marie has helped counsel the families of veterans. 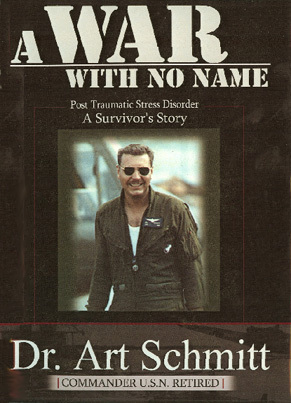 A War With No Name: Post Traumatic Stress Disorder, a Survivors Story.